For today’s page, we are featuring our recent wallpaper covering projects from BGC Taguig. 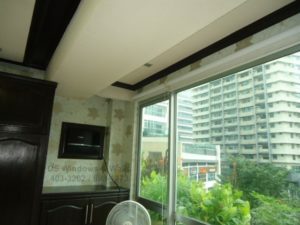 BGC is now booming with new high-rise residential buildings and wallpaper coverings demand is also quite on the rise. We are highlighting some of our nature-inspired wallpaper designs like flowers and vines so you may also have some idea on how it looks like installed, in case you are thinking of some tips and ideas on your next home project or if you have a new house to renovate or a newly turned over condo unit. 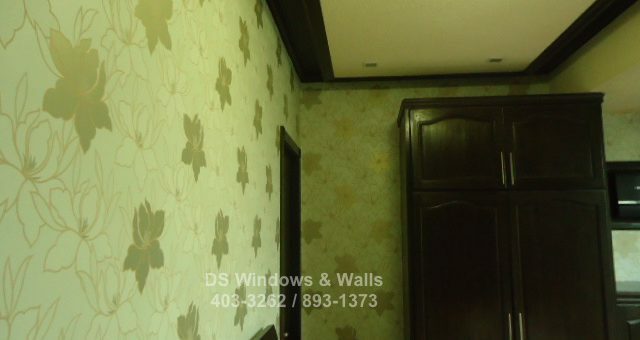 Compared to some other available wall covering designs like vector or semi-plain embossed, designs that resembles nature such as flowers, leaves, or vines has a calming and peaceful effect to the resident. 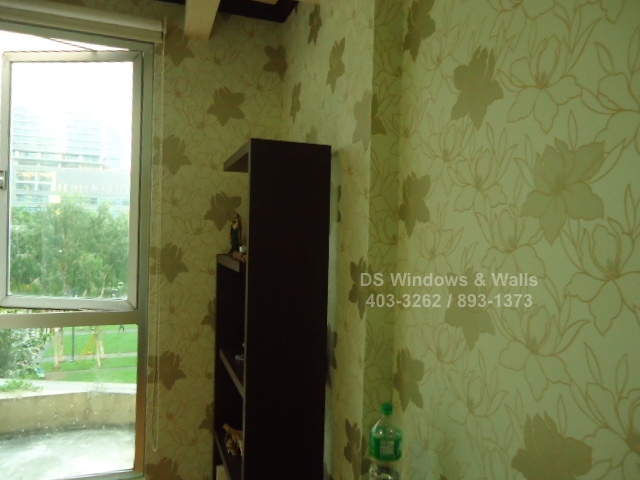 Nature-inspired designs also don’t get old and go out of fashion. 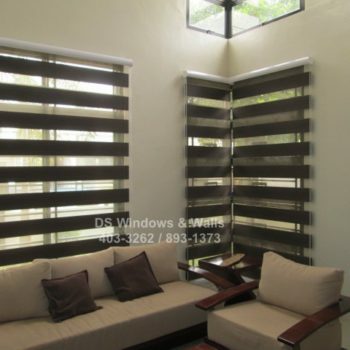 The only downside of these patterns is that it has a low yield and high wastage due to large blocks of pattern that needs to be seamlessly aligned together during installation process. 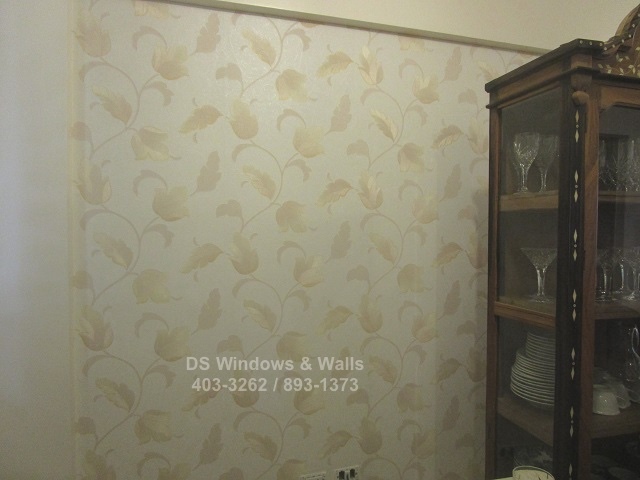 Wallpaper coverings is a great way to increase the value of your property regardless if you intend to have it rented or sell it in the future so you can also look at it as a nice investment. 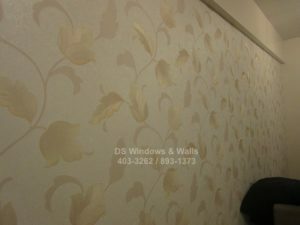 These wallpapers can last up to 15 years so you can get your return on investment by the time these great looking wallpapers needs replacement. Our company has been actively looking for great looking, trending, and fashionable modern wallpapers so we can continuously provide you with the newest and fresh designs. 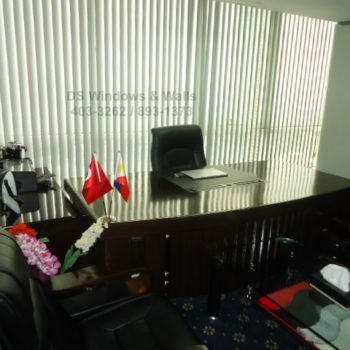 For more information, call us at (02) 403-3262, (02) 893-1373, (02) 668-9668, 0916-311-3909 or email us at inquiry@dswindows.com. You may also view our wallpaper gallery here.